SuperDroid Robots has added RoboClaw Motor Controllers to our robots and in our online store. These three prebuilts have RoboClaw Motor Controllers with Speed Control installed. SOLD – updated 4/8/2019. Click to order an MLT-JR Robot. This prebuilt MLT-JR Tracked Robot is equipped with IG32 075 RPM gear motors with encoders. This robot has a RoboClaw 2X7A Motor Controller and encoders for closed loop speed control. Watch the video below for a RoboClaw Motor Controllers demo. SOLD – updated 4/8/2019. Click to Order an LT2-F Robot. 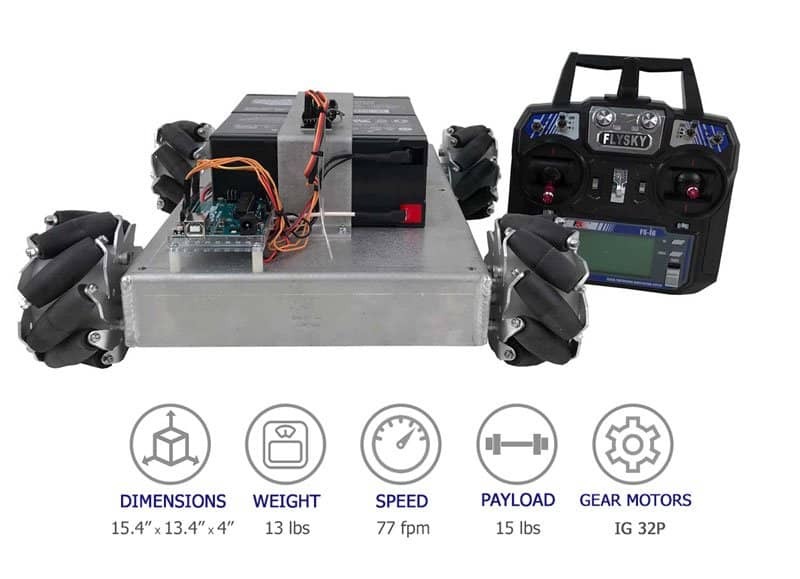 This robot comes complete with a RoboClaw 2X30A Motor Controller with speed control. 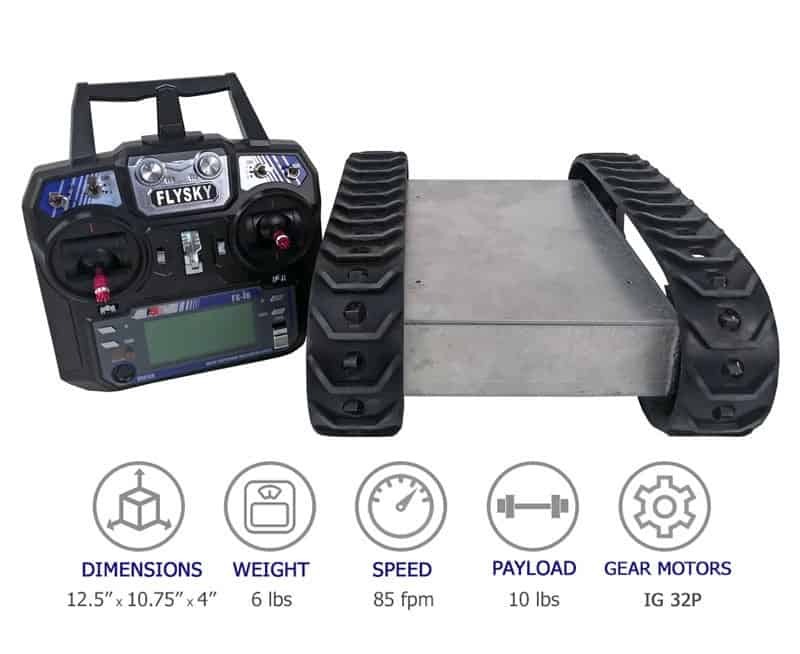 Additionally, the flipper/stabilizer use a RoboClaw Solo 30 Motor Controller with speed control and position holding. The robot is a lightweight tough robot that can go over and under many obstacles. The treads are driven by powerful IG52 gear motors with #25 chain with a 1:2 reduction to the ~ 7 inch front wheels. 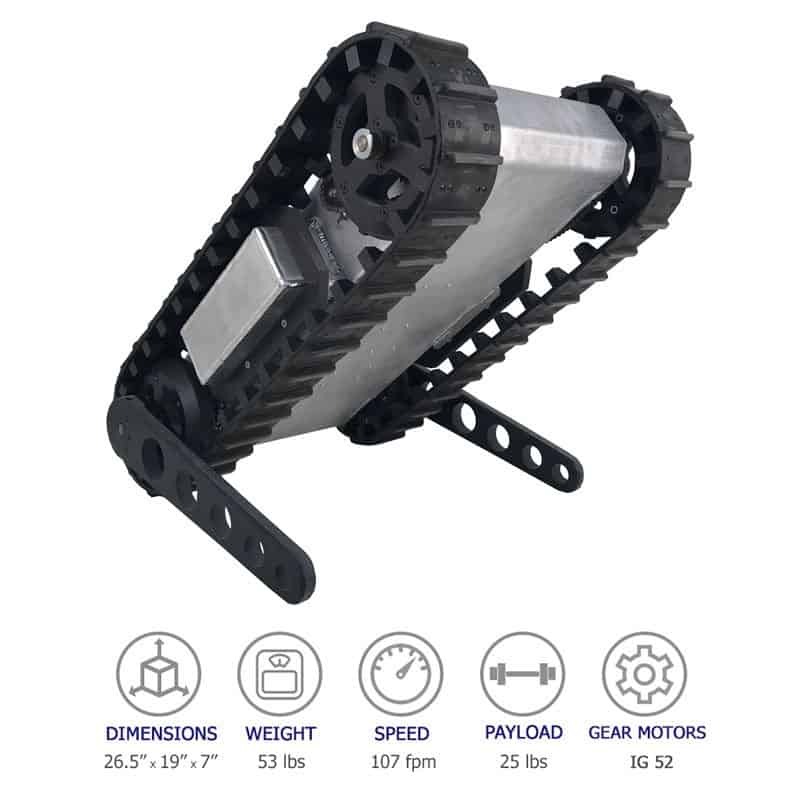 The flipper arms are driven with a powerful IG52 gear motor. This Mecanum Wheel Vectoring Robot is a direct drive 4WD programmable Arduino robot platform for indoor robotics. The robot is equipped with RoboClaw 2X7A Motor Controller. that allows it to vector in any direction. This robot kit includes the CNC cut 4WD base intended for our IG32 gear motors and 4″ Nexus Mecanum Wheels.